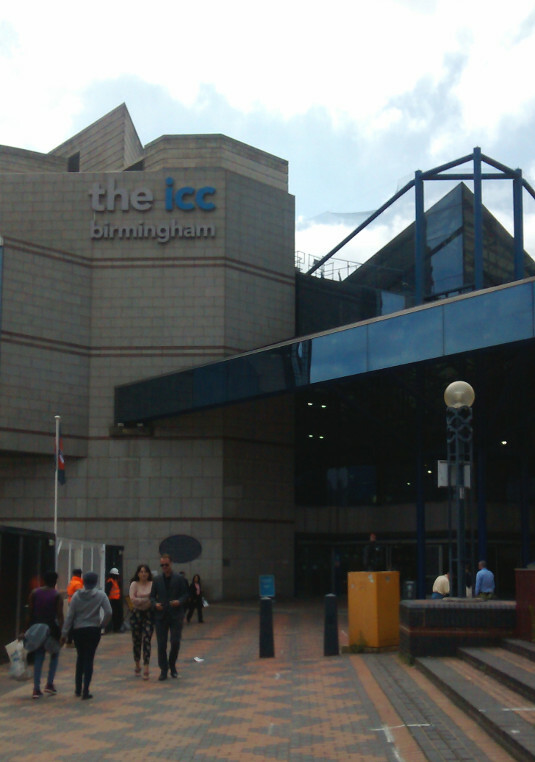 I participated in the Prospect National Conference 2018, held at the International Convention Centre in Birmingham on 3-6 June 2018. This was the first National Conference BECTU had taken part in since the union amalgamated with Prospect in January 2017. One of the highlights of the conference was a session on Brexit. This started with a panel discussion chaired by comedian and political commentator Ayesha Hazarika and consisting of Hilary Benn MP, chair of the Commons Exiting the EU select committee, NATS chief executive Martin Rolfe and CBI chief economist Rain Newton-Smith. 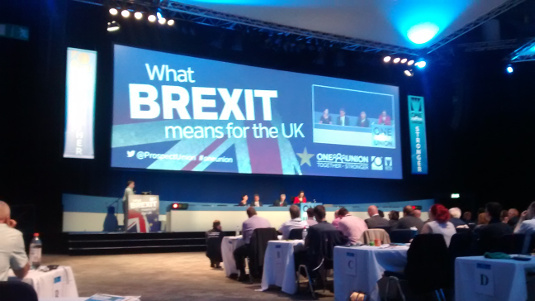 Following the informative panel discussion, there followed a number of questions from conference delegates and a debate and vote to support a ‘peoples vote’ on the final form of words proposed on any future relationship between the EU and the UK. There was also a speech by the BBC Director General Tony Hall, who took questions from conference delegates afterwards. I also attended, as part of the break-out section of conference, an absorbing session on the future of work, looking at the impact of artificial intelligence. A very interesting conference, helped by the nearby location of two Wetherspoon pubs.